The Christmas season is in full swing, and for me that means 87, 369 decorations have to be hung, evergreens cut and draped, a myriad of cakes, pies, snacks, cookies, and sausage balls made, and yards and yards of wrapping paper and ribbon to be snipped, tucked, fluffed, and tied. But in between! Yes, the glorious in between! Now, that is where the real magic happens. In between all that busy-ness is when we’ll place baby Jesus in our own little nativity. In-between is when we’ll sing all our favorite Christmas carols as we drive down the road. In-between is when we will snuggle up in the soft glow of our Christmas tree and watch Bing Crosby and Danny Kaye sing ‘White Christmas’ for the 100th time. And in-between is when we will drink the hot chocolate. Gallons and gallons of hot chocolate. 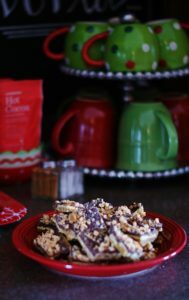 The kind that tickles your lip and warms your belly, leaves a little mustache, is mounded high with marshmallows and fancied up with a bright peppermint stick. …Which brings me to our newly converted coffee bar. This fall we took our kitchen desk which wasn’t getting much use and turned it into a coffee bar. 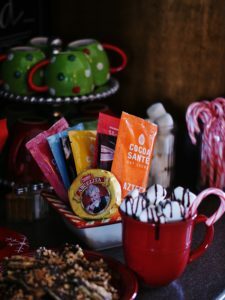 And now that Christmas is here, well, it was time to zap it with a little Christmas magic and turn it into a little hot chocolate bar for all those cozy little in-betweens that I am looking forward to. 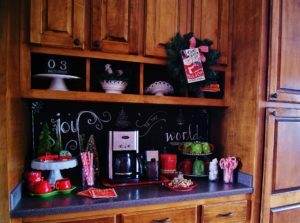 So here is a peek at our Christmas Hot Chocolate Bar. 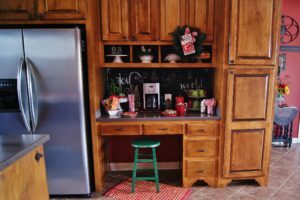 I hope it inspires you to steal a little corner of your kitchen and turn it into a warm and magical place for your family and guests this season. I removed everything that I put up this fall so that I could start fresh for Christmas. 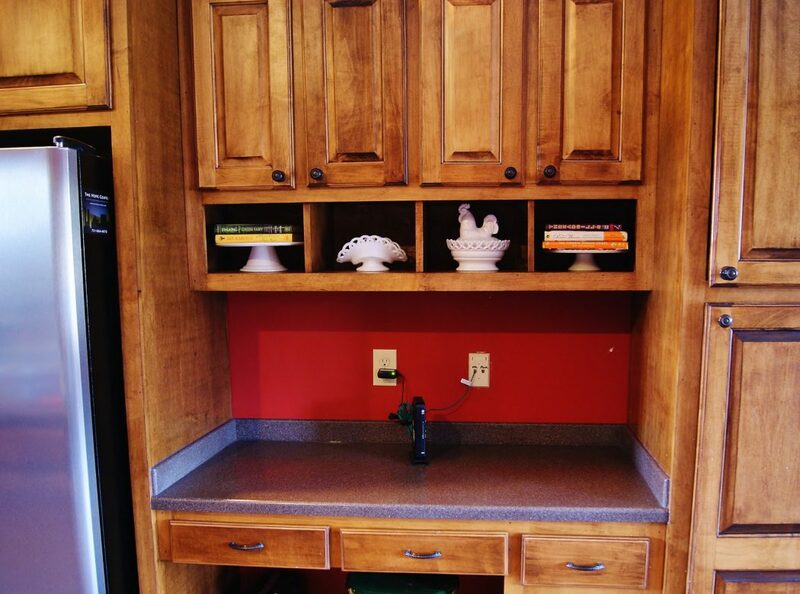 I am not a fan of the way the plugs and phone jack for this kitchen desk were installed. Not to mention, this is the only place in the house where we can hook up our internet router. Look at it just sitting there all pitiful like. 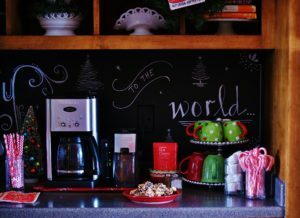 It was at this moment that I decided to paint the back wall of the desk with chalkboard paint. 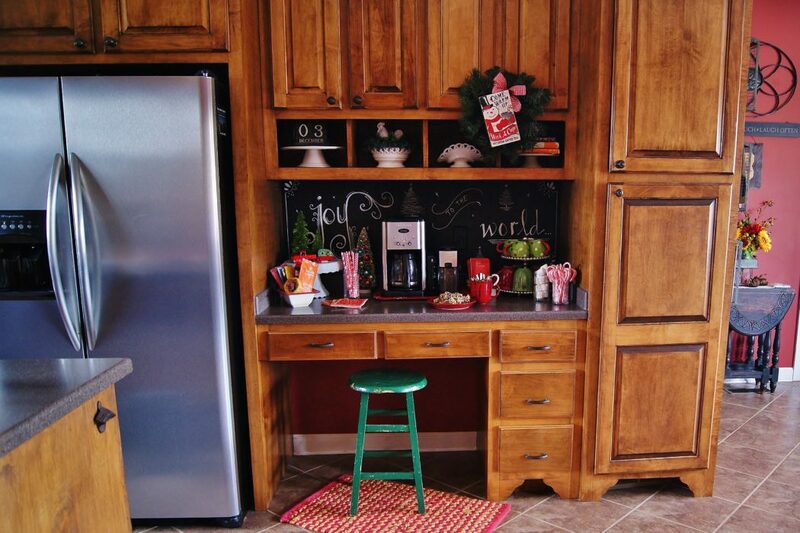 I used the quart-sized Valspar Chalkboard paint from Lowe’s to do the job. 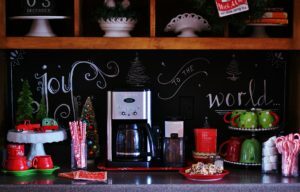 I figured a chalkboard would be a neat option no matter how we decided to use this space in the future. I painted the outlet covers too, just to try to hide them a little. So here is the our little hot drink bar after the chalkboard paint and Christmas was added. Doesn’t it look so much better? We will not discuss how long it took to draw the chalk design. 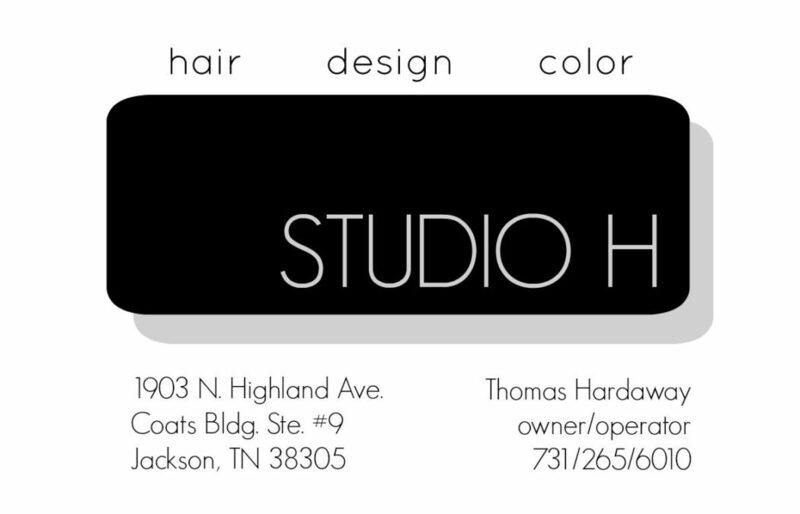 I am not a pro hand-letterer, so I had to look up examples online and try and try again. But all in all, it’s not too bad. For me, chalk pen is easier to use than regular chalk. I knew right away that I wanted to use my truck and camper salt and pepper shakers on our hot chocolate bar. 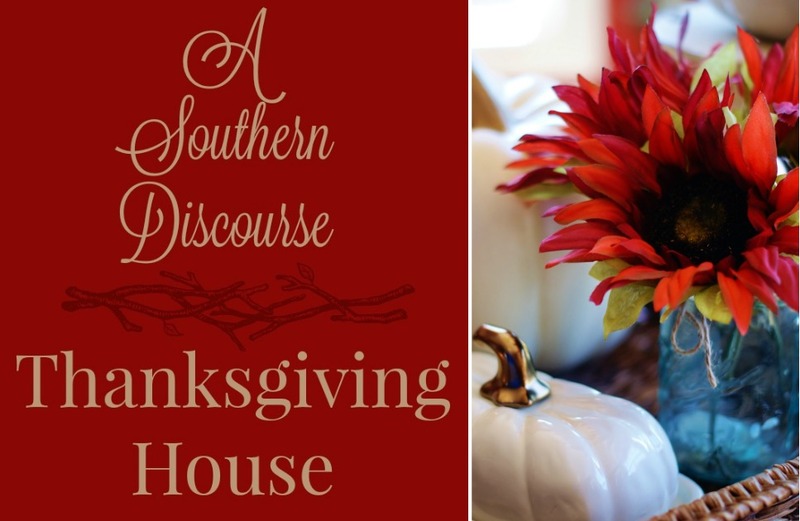 They are one of my favorite decorations, so I wanted them somewhere where I would see them all the time. A cake stand added just the right height, and some sparkly bottle brush trees got me to thinking about using Christmas trees as a repeating element to tie everything on the hot chocolate bar together. So not only are there trees sitting on the bar, there are also trees on the chalkboard! 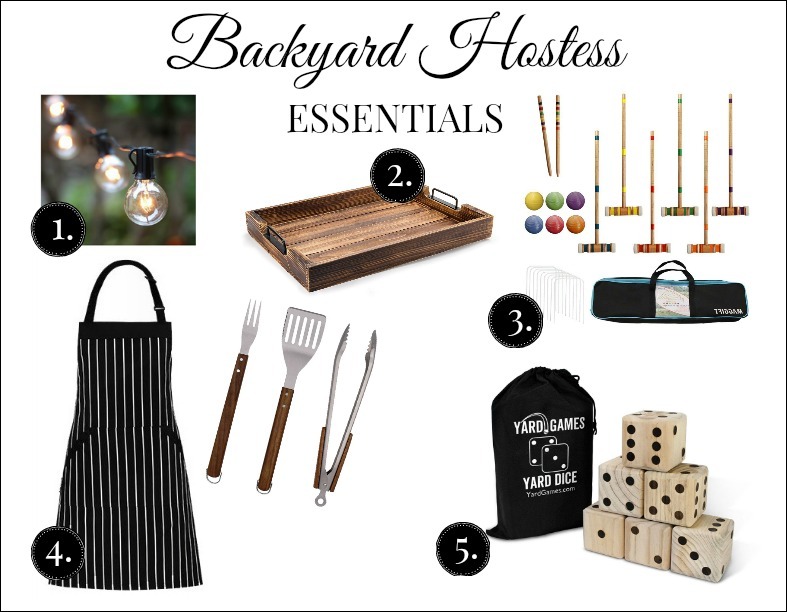 Just like with any drink bar, a good hostess has to think about the things her family and guests might need when using it. 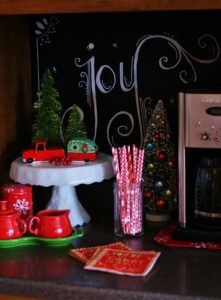 I added paper straw stirrers, cups, marshmallows, candy canes, cinnamon, and sea salt. 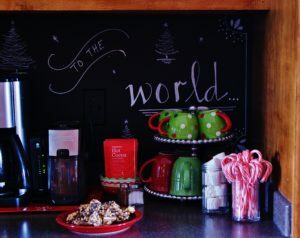 It IS a hot chocolate bar, so let’s not forget to add plenty of hot chocolates for your favorite people to choose from. 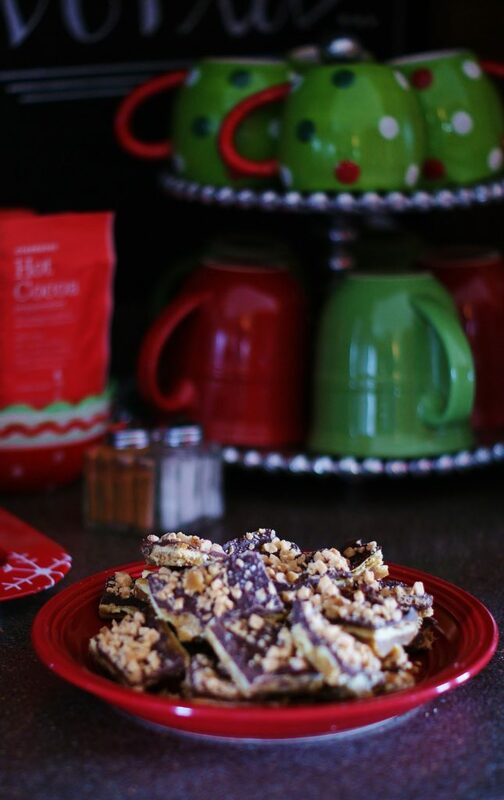 This is definitely one way you can make your hot chocolate bar feel special and even a little fancy. There is nothing I like better than browsing through some chocolates, deciding which I might like to try. Maybe you have a homemade mix that you could put in a jar with a label and instructions! 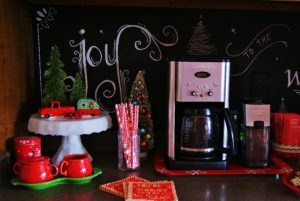 I put my coffee maker and grinder front and center on a Christmas tray. On the evening and mornings we need coffee (when is there a morning we don’t need coffee? 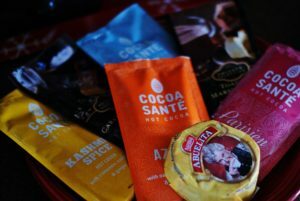 ), the hot chocolate bar is ready and willing to brew just what we need. During those special in-between moments, however, the coffee pot is perfect for heating up and keeping warm 12 cups of hot water for a cozy cup of hot chocolate. And can you see that poor, pitiful router, the very bane of my existence? Yep, look close. There it is, squeezed between the coffee pot and grinder, no longer the sore thumb it was before. 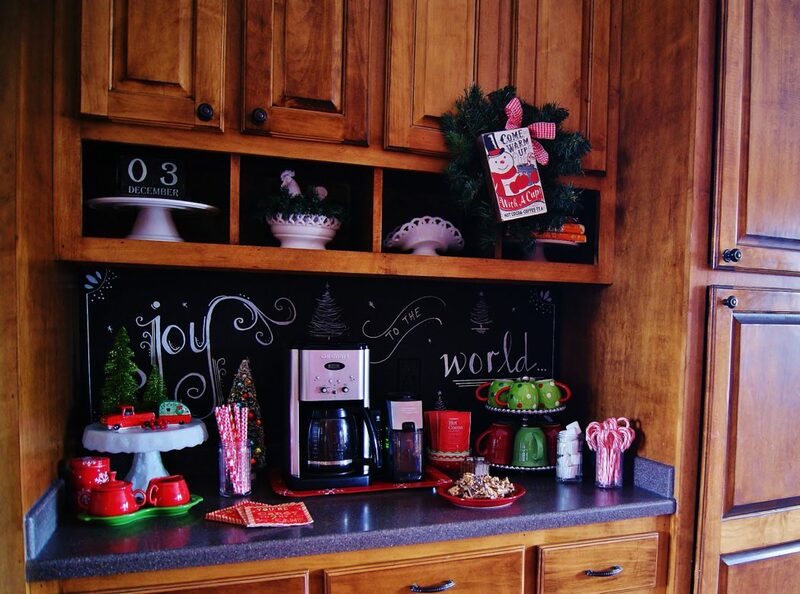 A hot chocolate bar is a fun and easy way to add a little Christmas magic to your kitchen this Christmas. 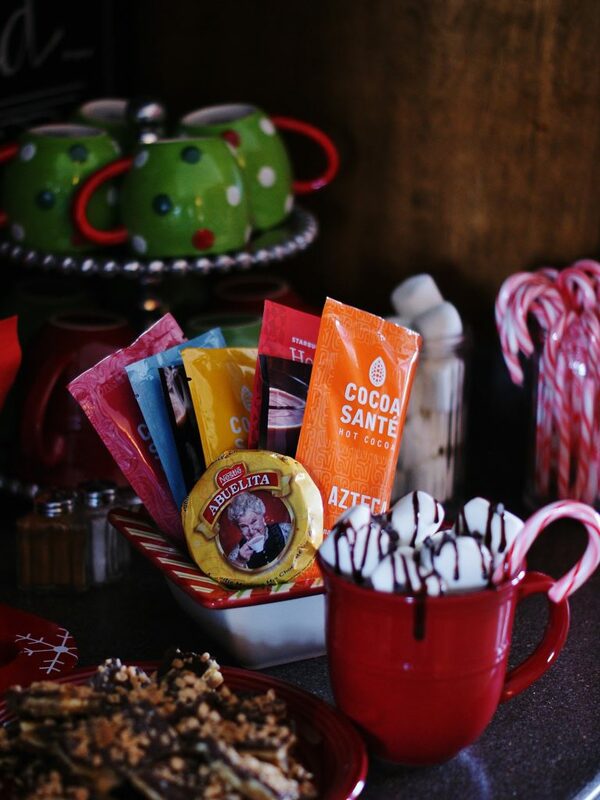 And there is nothing like hot chocolate to make the most of those special in-between moments, those precious moments that this season is really all about. Absolutely delightful! 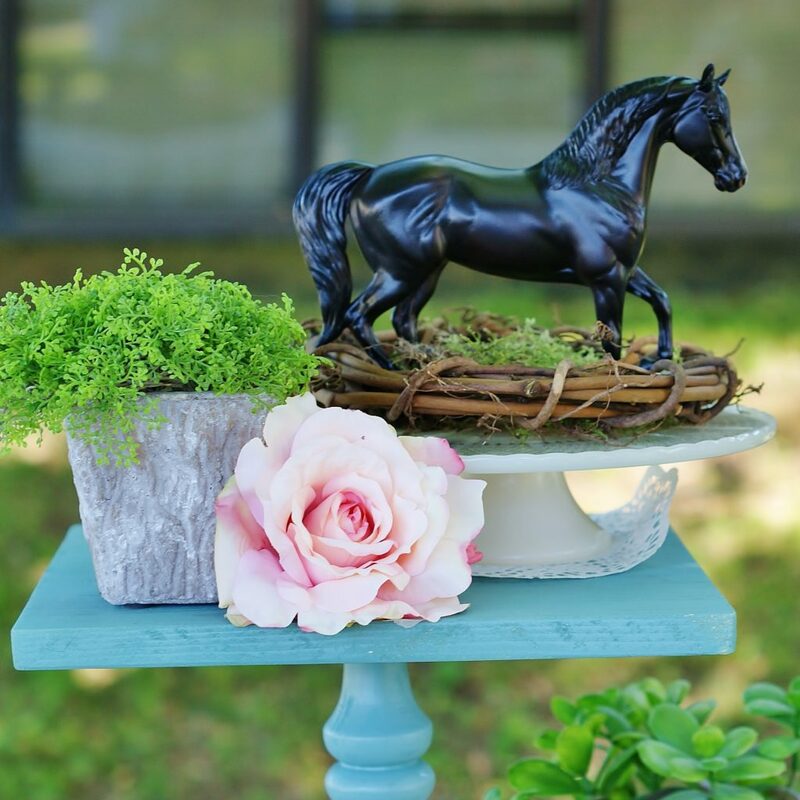 Such a very clever make-over! Merry Christmas friend! Ha! I am glad that we have a visit lined up now! Hope I can get this house cleaned in time. 😉 And thank you very much. That means a lot coming from you- someone I admire very much! You are just so very creative! 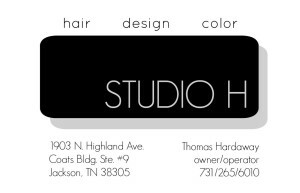 Happy to have such a talented friend who shares her clever ideas! Blessings! 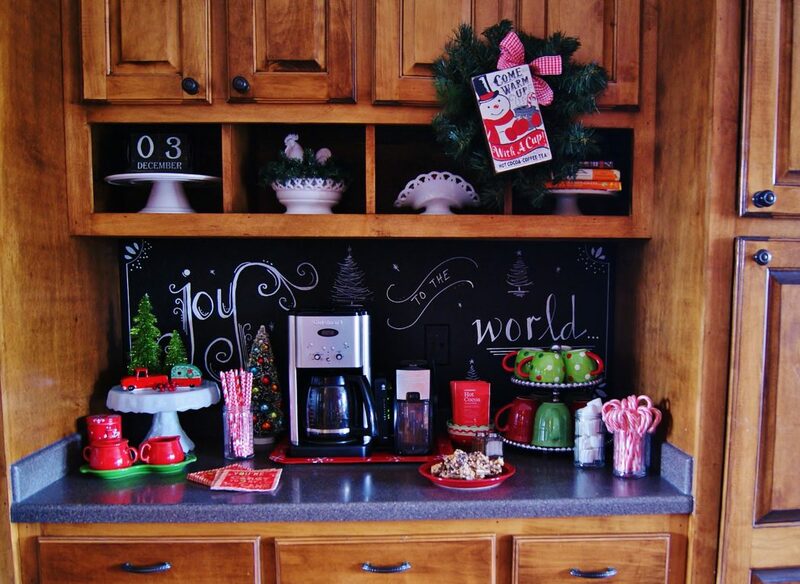 Emily, I know your group would love a hot chocolate bar during the holidays! How fun it would be! And you are so creative too, my friend. 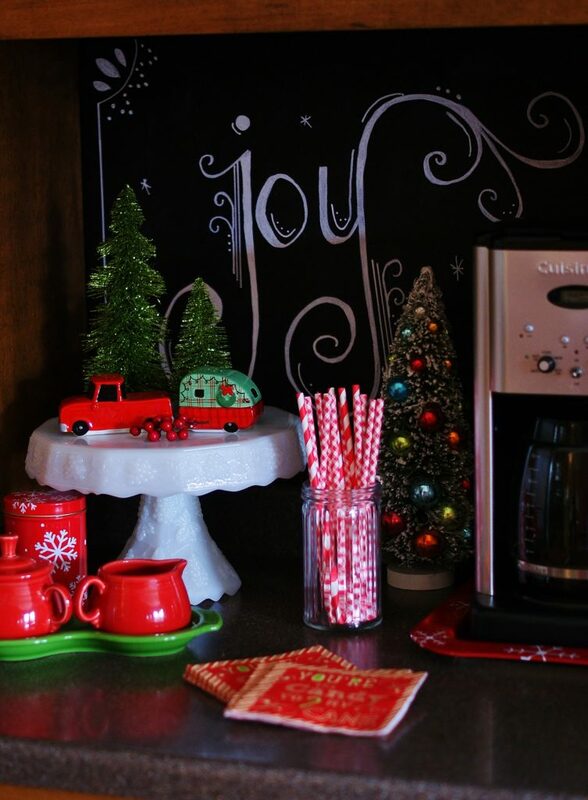 If you make a hot drink station, you must share a pic! 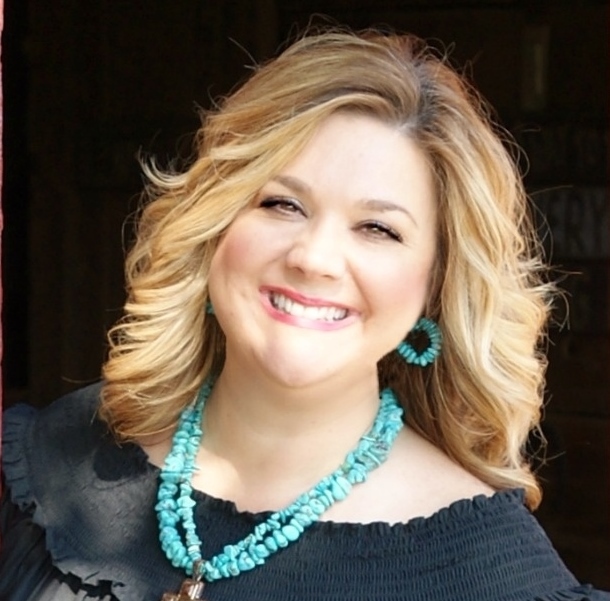 Stacey, this is so cute! 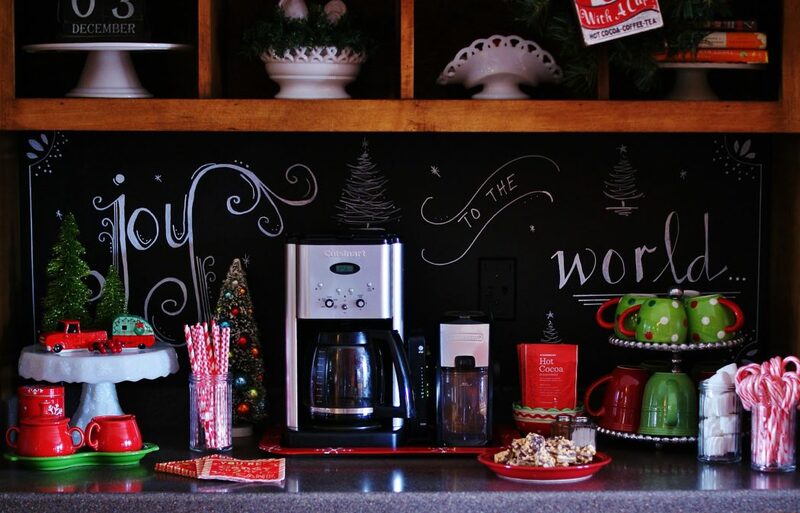 The chalkboard paint was an awesome idea…and I didn’t even notice the router until you pointed it out! 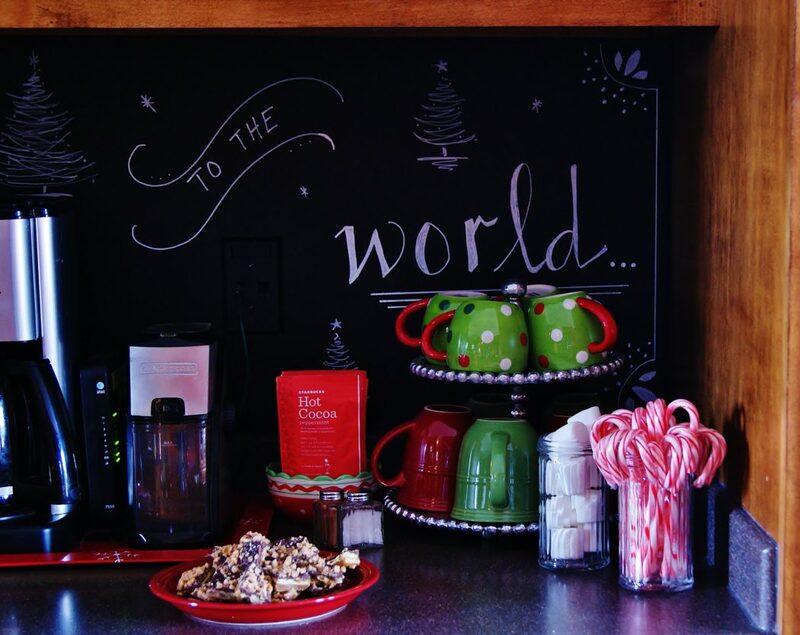 Your hot chocolate bar is wonderful! We certainly use ours. I’m sure your family loves yours, too! Shenita, I tell you, that router and those outlets! SO not how I would have designed that desk space. Drives me crazy! But this is the first time I have liked that space since we moved in 8 years ago! 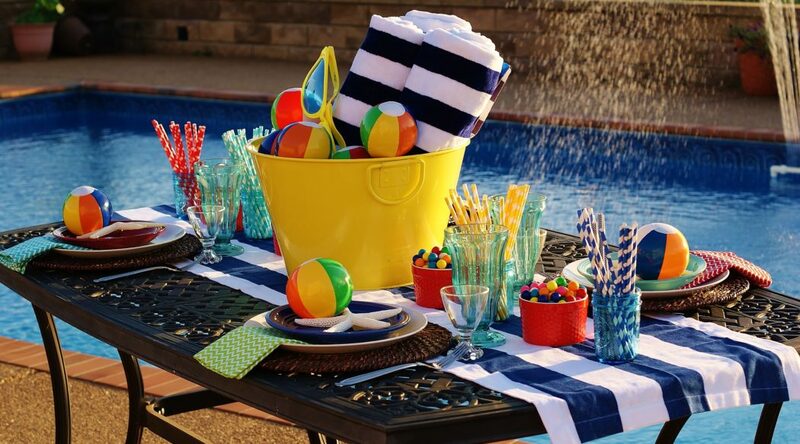 I need to see pics of your hot chocolate bar. I know it is so fabulous!